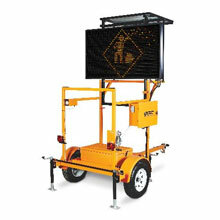 The SR4 vehicle counter/classifier is a statistical traffic radar device that provides accurate and straightforward acquisition of traffic information for analysis. The radars’ inconspicuous appearance allows it to record vehicles without affecting the normal flow of traffic. The radar device is powered by 2 no. 6 volt batteries which provides enough power for 14 days and this can be extended indefinitely by the addition of a small solar panel if required. The counter can be mounted in minutes on an existing roadsign post from 76mm to 114mm diameter. 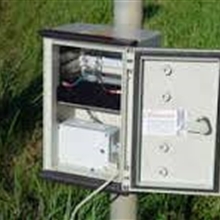 The fixing system is lockable and vandal resistant and cannot be easily removed by others.The SR4 radar is primarily a speed measuring tool and the data it gathers provides volume, length, speed and gap information. The data is recorded on a per vehicle basis and each data record holds the information for one vehicle. This data is made up of the following; vehicle speed in km/h, vehicle length/classification, gap in seconds, time and date. The data is compressed and stored onto Flash memory, and the radar is capable of recording up to 4Mb (860,000 individual vehicle data records).Once the data has been recorded and stored into the memory, it is easily transferred directly by Bluetooth onto a PC or laptop for analysis using the SRA analysis software provided. 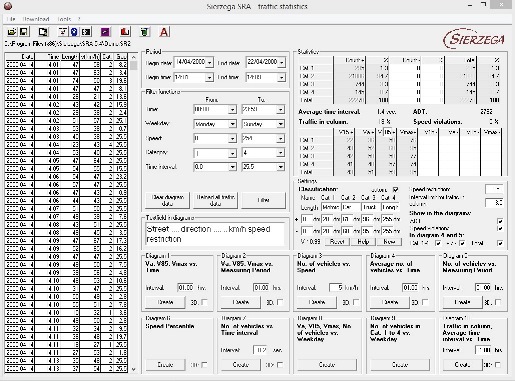 The data can also be downloaded to an Android smartphone or tablet via a free App and then synchronised to a desktop PC ready for analysis using the SRA software.The SRA software analysis suite is a simple but powerful package that allows the user to create a detailed evaluation of the data. 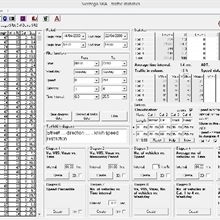 This evaluation combines total volume counts and speed information along with 85th percentile and classification information. The analysis suite can also produce, a wide range of reports that will show the collected data in an array of tabular, graphical and exportable formats.